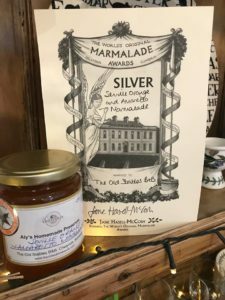 Many lament the demise of marmalade as a staple on our breakfast tables but if the World Marmalade Awards is any indication then this couldn’t be further from the truth. 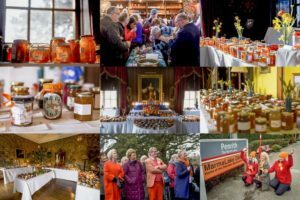 In an interview with The Guardian Jane Hasell-McCosh, who, over 12 years ago, started the World’s Original Marmalade Awards at Dalemain, a Geo rgian mansion just outside Penrith in Cumbria, said sales and interest in artisan marmalade had increased year on-year. The awards started with 60 jars, “and now we are up to 3,000 this year”. Entrants come from all over the world. Marmalade has woven its way into the fabric of British life. A “marmalade dropper”, for instance, is a term used to describe a newspaper story guaranteed to shock or surprise readers over breakfast. “In the second world war, it is said, Winston Churchill insisted we must keep the marmalade orange boats coming,” said McCosh, “because, culturally, it would keep our morale up”. She believes her awards have helped contribute to a renaissance in artisan marmalade, and that the market for traditional, artisan spreads from small producers is on the up. So I thought that I should probably learn how to make marmalade for our B&B guests to enjoy. Luckily a good friend, who is also a B&B owner in Shropshire, introduced me to Vivien Lloyd owner of Vivien Lloyd Preserves and with even more luck on my side, I found out that Vivien lived but 20 minutes away from me! Vivien’s passion for preserving started by accident 1987 when she was presented with 180kg of Early Prolific Plums, the crop from one tree in her cottage garden in Worcestershire. Bountiful harvests of damsons, apples as well as other fruit and vegetables sparked a life-long interest in making jams, jellies, marmalades, vinegar preserves and liqueurs. Women’s Institute courses in Preservation and Judging equipped Vivien with the skills to judge, enter and win competitions. In January 2008, she read an article by Dan Lepard about The Marmalade Awards. A photo of a previous winner encouraged her to enter. Vivien’s Seville orange marmalade won its class and “Best of the Best”. Other competition success has followed, notably Fortnum and Mason’s Chutney Challenge in 2012 and the Westmorland Damson Association Jam Competition in April 2014 and the rest, as they say, is history. 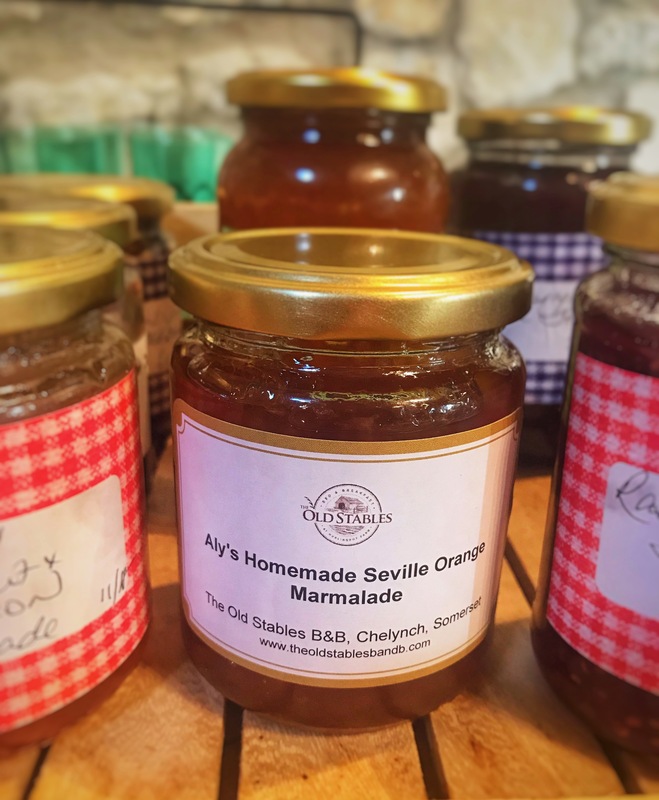 Vivien has patiently tutored me through preserve making of all descriptions (marmalades, jams, jellies and chutneys) and encouraged me to enter my Seville Orange Marmalade (fine cut) and Seville Orange Marmalade with Amaretto into the 2019 World Marmalade Awards. 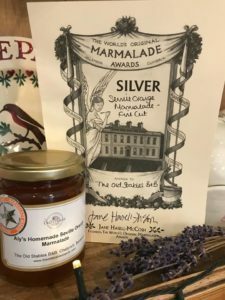 Bottles were duly packaged up and sent off to Dalemain and I was thrilled to receive the news that both my marmalades had won Silver awards in the Hotel, Restaurant and B&B Category! I love preserve making of all kinds but marmalade making has a special feel all of it’s own. It’s such an ‘in the moment’ experience and a wonderful way to while away a winter’s afternoon. There’s such a sense of accomplishment when you jar up the jewelled orange liquid, twist those tops on the jars and see them standing on the table to set. I’d tell anyone to give it a try. You don’t need lots of fancy equipment (although you will need new tops for your jars – that’s a must!) to get started. 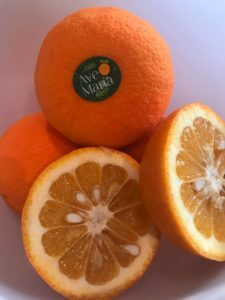 The best of the best Seville Oranges come from the fine folks at Ava Maria Farm but they are only available for a short time in January and February. 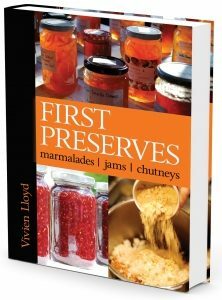 In the meantime, if you want to give preserve making a go, get a hold of Vivien’s fab book “First Preserves” which takes you through every step with a pictorial guide. You can also access Vivien’s best recipes for all types of preserves and lots of tips on preserve making through her website for a nominal subscription fee (worth it!!). Now I’m off for a Paddington Bear moment to enjoy some toast and marmalade!